Oh, and the face import was not working for the most loyal fans. Like me. Let me first be clear on one thing: I liked the first two games. No, they were not flawless, the first one had a very bad inventory system, the evil paths were the usual "I'm an angry jerk now" cliche, the squad AI just wasn't competent, the truckloads of vendor trash, the repetitive map design (hello, Dragon Age 2), the inexplained jump to the apocalypse heralding of the hero(ine) and a couple of others. The second (my Hungarian review here) was dumbed down: no real inventory, no squad armor selection, painfully thin selection of guns, the damn probing minigame, the 2005-esque resolution of clothes and the somewhat wooden controls. All ME games had the oh-what-is-a-mouse conversation selector, and in quite many case, the one or two word summary led to a quite different sentence than what you thought it would lead to, as none of us can read the minds of the designers. Not all of the models survived the close-up. Now ME3 did fix some previous problems, reintroduced ME1 concepts, created some new solutions where we didn't think there was a problem while fixing some that needed change and introduced new "challenges" and a multiplayer mode as well. 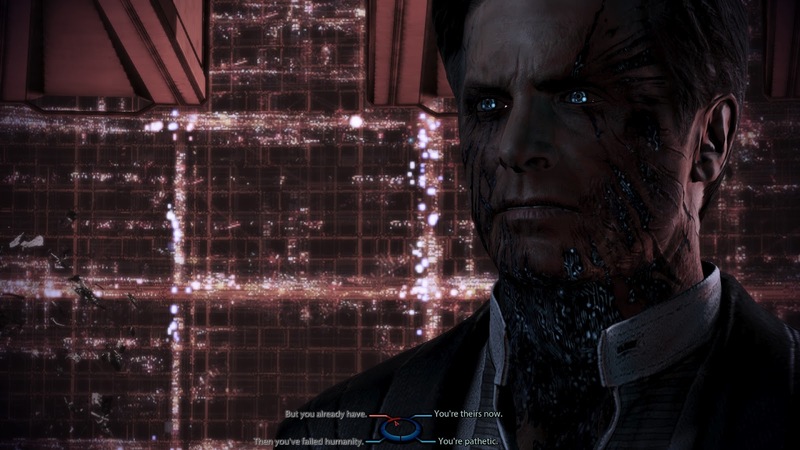 But as its predecessors, it is nowhere near a perfect game, and the ending just made me feel disillusioned: whereas I bought all the DLCs and played dozens of extra hours after the end of ME2, after watching the three endings of ME3, I never returned. At last, the clothes got a decent resolution. Not too good, the 2007 Crysis still has better face textures in most places, hair is still a plasticy mess, most shooters nowadays have better environmental textures, etc. Or I could just say: check out Witcher 2. The cameraman however knows his job well, I've seen more than enough games in which cutscenes looked like amateur work; luckily it is not the case here. Not by any standard. 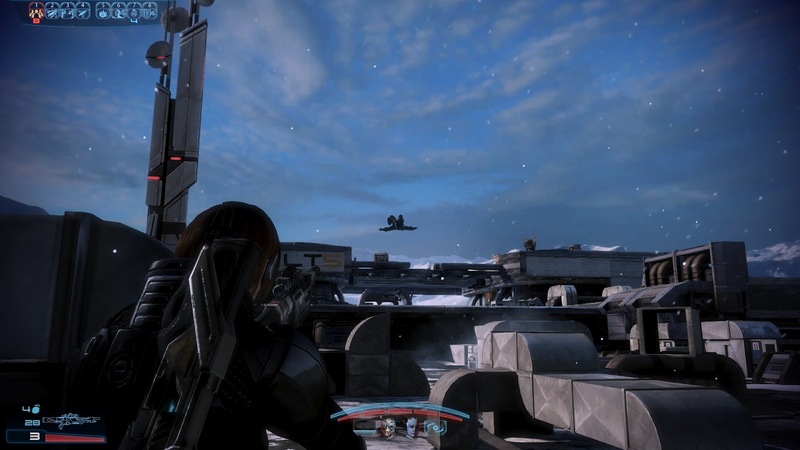 On the topic of physics: I did ran into a floating Garrus, a couple of flying enemies, and ran up into the air, plus the environments are your run-of-the-mill mostly non-destructible with a few bright lights and explosive barrels that you can and in most cases should shoot. Nothing exceptional, nothing to get you thinking, only decent. Animation outside cutscenes is quite bad though. Shadow and the monitor texture are just a tad last-decade. Yes, the ME series is on the very top for this. 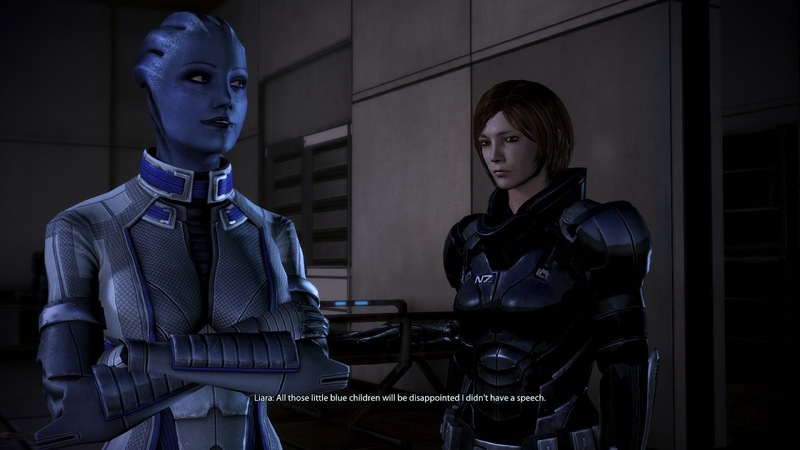 ME3 is no exception, the voice actors do their job competently or exceptionally. The face animation is of course acceptable - a bit wooden, as with nearly all games - but at least body language is mostly good. The music is good, though I liked the soundtrack of the second more. I liked that the developers placed little jokes, homages nearly every part of the game. The Trek poker table, the numerous mails, the in-series jokes about Blasto, the dancing "prowess" of Shepard, the drunks and all: very thoughtful, funny and nice. 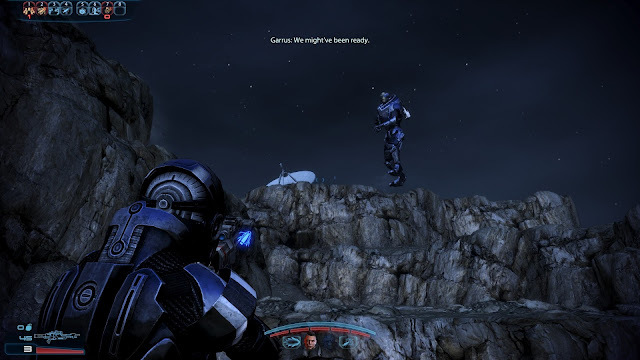 Flying Garrus to the rescue! These were possibly my favorites in the game: a sentence or three overheard while passing, stories hidden even within these stories. The occasional heroes, sacrifices, the general loss that comes with war, the horrors, the nightmare of this truly alien conqueror given form by average soldiers and bystanders, caught in something they cannot really hope to fully comprehend. Most of the main plot, the story of the other characters is also nice. Yes, I loved being able to see again the old squadmates, though I did feel bad about the fact that some of the old acquaintances only show up as a mail and a cold number on a roster. Speaking about acquaintances, what was that about convincing the infuriating reporter in only one encounter? Did they cut the rest? Frankly, I've had enough of consoles "damaging" PC games. The current generation of consoles has the same amount of memory my 2-year-old phone has, for crying out loud! In this case, we know of at least two (albeit small) thing that has been cut from the game because simply the developers had to conserve as much memory as possible: the holstering animation and the TSA body scanner on the ship. The latter is there because the game needs to load and unload assets between the parts of the ship, which would otherwise overload the measy memory of a console. Well, it is a shooter. Mostly. Enemies come in wave after wave, with the occasional flavoring extra minibosses. As the game really needed some added firepower on the other side, there are new enemies, while the ME2 extra variants (abominations, scions and praetorians) are gone for good. 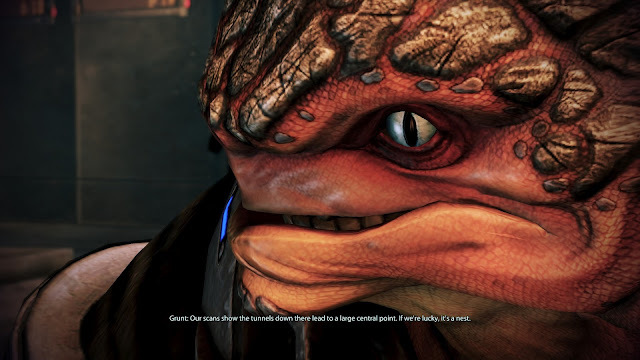 So we get husk-ified krogan, asari, batarian turian, rachni and harvester soldiers mainly. There are other enemies, most notably slightly modified humans, a splash of geth and unless I'm forgetting something, nothing else. Nice job, but they do get boring after a while. The missions are very easy to comprehend, no real thinking is necessary, just shoot and move forward really, pull the occasional lever and that's it. The powers do spice this mix up a bit luckily, plus make it easier, though not that the game is hard by any measure. Just tedious at times. 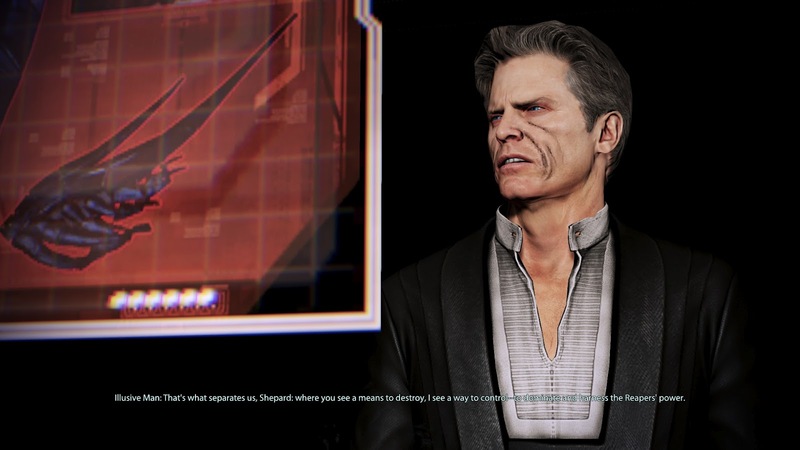 Arguably one of the worst part of ME2 was the scanning/mining. 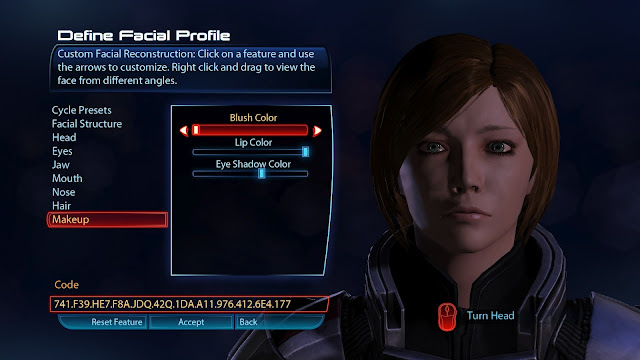 In ME3 it did not go away completely, but at least you can only get a maximum of one item from planets. In most cases, not even one. Then they introduced the reaper awareness. In ME3, you have to first do a sweeping sonar-like pulse on the star system map to get to know which planets you can actually scan for things. 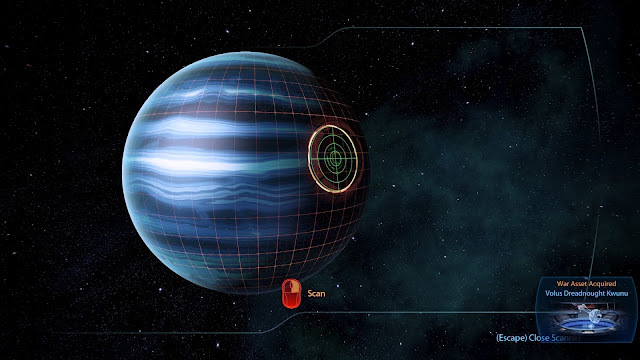 As the reapers are in the galaxy now, they will notice this, and if you pulse enough, they will start descending upon you in that system map, whenever you enter, until you advance a mission. If they get to the Normandy, game over. 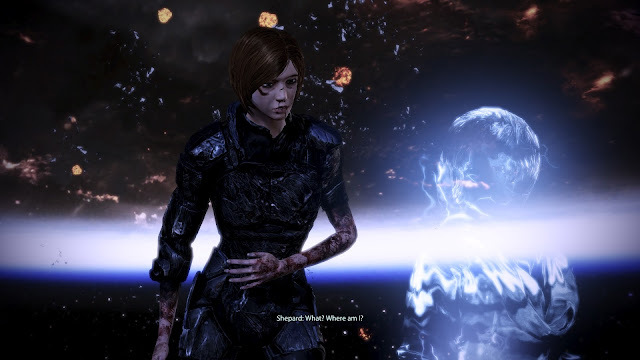 The problem - or rather, the annoyance - is that the reapers have very good ears, or deep space sensors. You won't get more than a few pings off per system, and some of them house quite a number of planets. In some cases, you do have a hint as to which planet you should be looking at, but in many cases, you can find forgotten artifacts on unconspicuous ones. So to get them all - for the war score - you'll need to comb through all of the planets. One step forward, and a giant kick in the quads so that you fall back even further. I won't lie, getting a trainer to stop them coming does actually makes ME3 a better game. It really is a shame, but unless the ex-writers lied, it seems that the ending story was made by a markedly different team than the game itself: while in other parts, the creative team got together, discussed it all, implications, lore and all that, the ending was done by Casey Hudson, the executive producer, plus the lead writer with zero input from the regular staff. Also noteworthy is that right about almost no-one from the original ME1 team remained till ME3. There are numerous problems with the ending. It feels not cut but shredded. The "ok-but-why-now" gunnery section, the "no-time-for-anything" holocalls to teammates, the idiotic "we"ll kill you so you won't kill yourself" goal of the reapers, the contradicting "organics-always-get-killed-by-synths-what-is-a-geth-they-can't-exist" cherry on top of it, the space magic right out of the blue, the pathetically budget-light "three" ending videos, the failed promise that your previous time in ME1 & ME2 will be rewarded with truly meaningful results, the unexplained fleeing of the Normandy, the teleporting squadmates. Plus if you think about the aftermath, the krogan might have eaten every human on Earth, the turians (if you didn't recruit quarians, or if their worldships got whipped, which is also quite likely) died of starvation, all the colonies that relied on imported food likewise, so Sephard got to be the greatest mass murderer and war hero in history. And as a full paragon goody-two-shoes, the last option was greyed out. Thanks, Bioware! There are other, minor problems as well, of course. As with all "recent" (ME&DA series) Bioware games, I really wouldn't call the Collector's Edition a Collector's Edition. Maybe a "limited" (or "signature", as with DA2) edition, but definitely nowhere near my standard for a CE, which is the Witcher-standard, or I could mention the old Civ II CE, the otherwise quite bad BioShock II, Starcraft II or the impeding Diablo III. 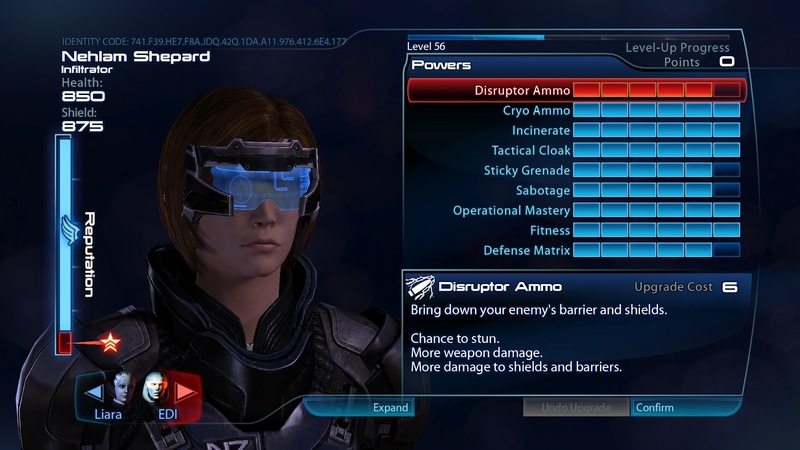 Those ARE proper CE's, ME3 is not. On the PC, maybe the best word for it would be amateur. Beginner. First failed try. "I hope you can do better next time". It is not without the merits - I particularly liked the weight / power recharge balancing - but the most important parts were hard to get to. Let's tart at the beginning! The classes had to be unlocked with a random lottery. No progression here, no "wow, you finished the game with this class, maybe you'd like to play it here as well", no "I'll pay anything just let me get this one class I grew to love in the demo", no nothing. Just random packs. Items, classes and upgrades were broken up into common, uncommon and rare tiers, with pricier booster packs having increasingly bigger chance to contain a rarer something. But no guarantees on what they had. You got money for (fully or partially) finishing missions, which were about surviving waves of enemies, sometimes eliminating key ones or getting to consoles and staying in range. But for that, you had to get into a game. This is where I had the biggest headache. I'm not new to online/networked multiplayer shooters, I started with the original Doom, though I tend to give wide berth to pay-to-win scheme games, twitchfests (Q3, CS), and do get disillusioned when developers don't fix glaring bugs or don't seem to care about cheaters (BF:BC2) and leave them for good. I do know how to get them working, how to tame an over-aggressive firewall or antivirus, the problems are not the result of my lack of skills, but the developers'. 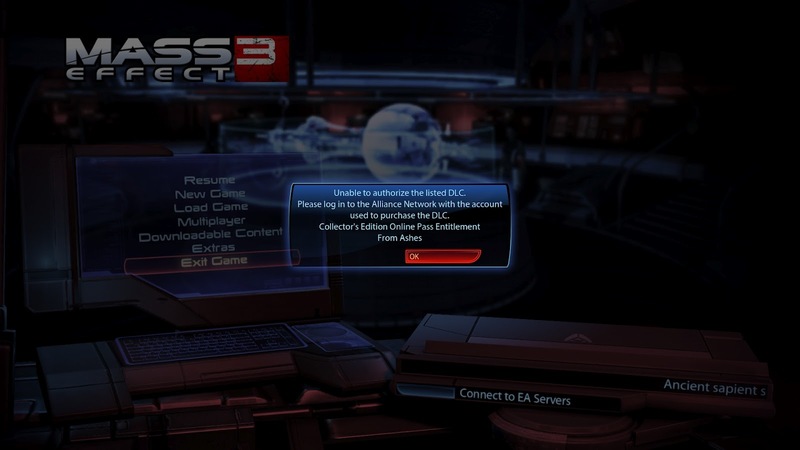 Arguably the hardest part of the multiplayer "experience"
The main problem with ME3's multiplayer is that it is a peer-to-peer one. To put it simply and bluntly, Bioware didn't want to pay for the stability and reliability of servers, give a server out of their hands or even make it like BF:BC2/BF3 does with the licensed servers. They chose the road that was the norm for consoles and the least bit of hassle for them. Unfortunately, it was the source of quite a bit of pain for the players. Even searching for matches is a pain. In a normal FPS, you click search and in the worst case, you'll get a "sorry, nothing matched your idiotic parameters" or a "whoops, already full" window. 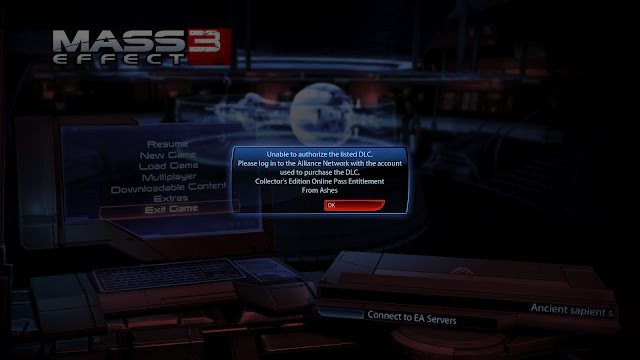 In ME3, I got frequently disconnected while on the "trying to join" screen. You'd expect yourself to be back at the search screen, but no. You'll have to wait a loading screen (wtf?, oh, consoles, how could I forget!) and you get back to the main menu of the multiplayer part. Oh, and don't think your preferences are actually set in stone: even if you are leveling an engineer and thus want only geth, you might get husks against your explicit orders. Why make new levels for singleplayer if you can cram in the multiplayer maps? Also, another floater glitch. ME3's netcode is not really robust. If the lead of the 4 player team disconnects, it does try to migrate the lead to someone else, but I have yet to see that actually work. You'll just get to be alone in a mission with enemies designated for four players, not one. Great, no? From the reveal of multiplayer, the press was told that this aspect will only give a bit of flavor to the game, it won't be necessary to get the "best" ending. In the singleplayer game, your mission is basically to get points for the war, and in multiplayer, it is to get the multiplier (or "readiness" in the in-game lingo, which is at 0.5 without any online play) for the territories up a bit. To complicate things, this multiplier degrades over time, at a rate of a couple of percentages per every on or two days. And you can't even get the DLC's without being online. Pray the servers will work forever! While the developers (or should I say PR people) told the world that you don't need to get that multiplier up, the reality is quite different: to get the best ending, you can only walk one given path. Not good, not evil, not compassionate, not ruthless, but coolly calculating, (or very lucky) which would for most ruin the game itself. After all, this game series is about choices, no? The horrible multiplayer, the ending and the war score aside, ME3 is not a bad game. It is quite good, up to a point. Nowhere near perfect, and it will (and did) infuriate quite a lot of people. Unfortunately, this included a lot of fans as well. After Dragon Age 2, I promised not to preorder (or most likely buy) DA3, and after ME3, I think I can safely write down the developer Bioware as a loss as well. Too much trampled. In a nightmare of PR. Just a few notes: I won't go into gameplay and game systems, couldn't care less. Also ,I never did play multiplayer (I just gathering the nerve to do it :) ) , but never heard any other about it but "It's really fun". Even on forums and comment areas where all other is bashing the ending. The ending wasn't written by Hudson, but Mac Walters the lead writer of the game. The staff discussed how the ending should be, there were many versions, that's one of the reasons the game got delayed. Some versions had "extended dialog, and Q/A about the whole reaper thing" etc. And in the end, Walters scribbled a sheet of paper with the whole "high concept, don't need to know all" ending that was finally made it into the game. Sadly. About the aftermath. 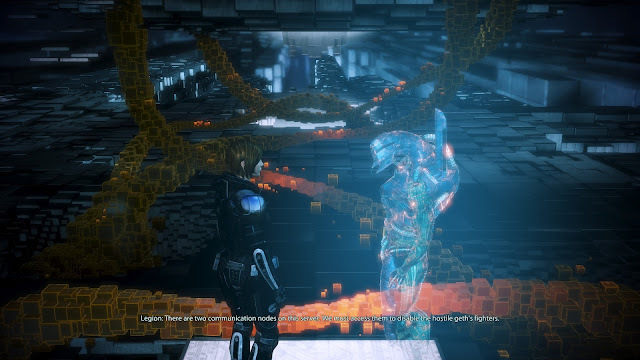 The Krogan won't eat anyone on Earth and the Turian won't die of starvation here. All seem to forget the standard FTL drives, and that Palaven and Tuchanka is not that far in galactic terms. The Asari are a bit more away, but it's still in the same "quadrant". The only oneas are really sucked it the quarians, but they have the liveships, and used to travel for a long time - and finally they have a place to actually go to. I know that some say the FTL is not fast enough. According to the codex, it's standard crusing speed is ~12 LY/day. Even if I round it down, it's 3600C. Just to compare, the Star Trek's Warp 9 is 1500C. Now, after I did this little research, and argued some on various places, just find (linked on the offic. forums actually) an "interview" with one of the writers, Patrick Weekes. 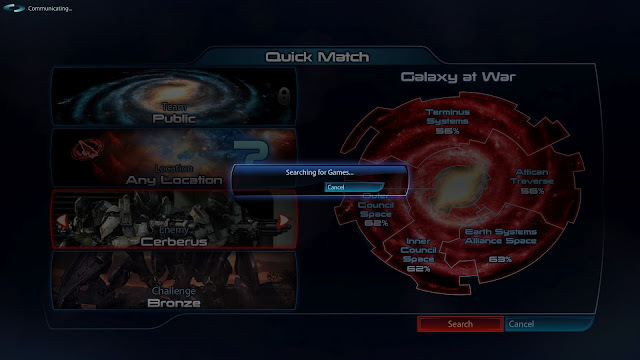 He was working all 3 ME games, so not some noob in me3 who doesn't know what and where. He just told the same, and also mentioned that people forget that the Mass Relays were not primarily for fast travel. That was the lure on the hook. Now, I don't say the ending is good. Not at all, its bad. But not becouse what it says, but how it is done. Short, uninpsiring, boring, totally anti-climatic, and leaves way to much hanging, so the players doesn't feel victory or closure at all. And that's why I have faith in the Extended Cut (the voiceover just started, according to a tweet of Raphael Sbarge) becouse these problems can be accessed and corrected. And then, it will be just fine. Won't everybody like it, or say it's great but won't be as bad as it is now. The ending affects me as well. While I restarted playing ME1 and ME2 immediatley, and replay the last part many times just to see various versions, and even watch the frapsed ME2 ending sometimes :) I had a week pause with ME3, before played again, and have less urge to play again and again. But I still intrested in the DLCs and upcoming ME stories. Mostly, becouse 5 minutes of bad ending can't delete all the fun I had before (and don't tell me that the quarian or krogan storyline wasn't exellent) and I still just love the world. I'd really like a DLC about retaking Omega (for example), and see more of the universe. So I'll still buy the books and comics.